The Undergraduate Program in Archaeology is an interdepartmental program that introduces students to archaeological theory, the analysis of archaeological materials, and the results of archaeological research in prehistoric and early historic periods in the Old and New Worlds. The program offers a Bachelor of Arts degree in archaeology. The Johns Hopkins University Albright Institute Undergraduate Archaeological Fellowship provides funding for a Johns Hopkins University undergraduate student to participate in an Albright Institute archaeological field school in Israel as well as a one-month internship at the Albright Institute of Archaeological Research in Jerusalem. Applicants must be enrolled at Johns Hopkins University and participate in the fellowship before their graduation date. 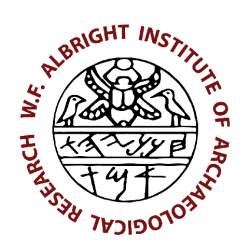 JHU/AIAR provides funding for an undergraduate student to participate in an Albright Institute archaeological field school in Israel and one month internship at the Albright Institute of Archaeological Research in Jerusalem. Applications are due by December 10, 2017. How do you uncover an ancient city? Just ask Michael Harrower, associate professor of archaeology. Harrower takes graduate and undergraduate students to Ethiopia every year to excavate, explore the surrounding area, and examine the long-term role of water availability in the rise and decline of Aksumite civilization.